Most of the franchise systems in Denmark are found in the retail sector, but there are also franchise systems in the restaurant and hotel sector, as well as in the car rental and service sector, and the education sector. Franchising has experienced a rapid growth in Denmark over the recent decade, which is attributable to both foreign franchise systems establishing in Denmark and Danish companies expanding through the use of franchise systems. Among the biggest foreign franchise brands in Denmark are McDonald's, Burger King, Domino's Pizza, Subway, 7-Eleven, Avis Rent a Car, Sixt Rent a Car and Pret A Manger. Some of the latest newcomers are Dunkin' Donuts, Starbucks, Carl's Jr. Restaurants and Pizza Hut. Several of the domestic franchise brands are small or medium-sized companies that have chosen franchising as a way to expand their business in Denmark. Some of the domestic franchise brands have also expanded their business internationally, such as Bang & Olufsen, Jysk, Vero Moda, Jack & Jones, Bianco and BoConcept. Dansk Franchise Forening (DFF) is an interest group for Danish companies involved in franchising. It was established in 1984, at a time when franchising was almost unknown in Denmark. DFF has issued a code of ethics, which is based on the European Code of Ethics for Franchising adopted by the European Franchise Federation. The code of ethics is binding for the members of DFF. There are no current governmental activities or other official campaigns focusing on franchising as a business model in Denmark. As a member of the European Union, Denmark is committed to observe the principle of free movement of goods, persons, services and capital, and the general prohibition against discrimination on grounds of nationality. Consequently, there are no market entry restrictions or other approval requirements that apply to foreign franchisors in Denmark. This also applies to foreign franchisors from outside the EU. However, persons who are not residents of Denmark and who have not previously been resident in Denmark for a total period of five years may only acquire title to real property in Denmark after having obtained permission from the Ministry of Justice. This also applies to companies that do not have their registered office in Denmark, such as foreign franchisors. EU or EEA nationals may acquire an all-year dwelling in Denmark without obtaining permission from the Ministry of Justice on certain conditions. The same applies to companies established in accordance with the law of an EU or EEA Member State that have established branches or agencies in Denmark or intend to do so or plan to deliver services in Denmark. It is a requirement that the property will serve as a necessary all-year dwelling for the acquirer or that the acquisition is a precondition for engaging in self-employed activities or providing services. Payments to and from Denmark are fully liberalised. This means that there are no restrictions on taking banknotes and coins out of or into Denmark, nor are there restrictions on other external transactions, including loans from and deposits with foreign banks, or portfolio investments and direct investments. However, anyone who enters or leaves the Danish customs area carrying money exceeding €10,000 in value shall on their own initiative go through a customs check and shall declare all money to the customs and tax authorities. There is no tax regulation that relates specifically to franchising in Denmark (see Section V.i). To a large extent the Trademarks Act2 has been harmonised with the EU Trademark Directive,3 but there are still differences. The most notable difference is that a Danish trademark can be acquired through use. Further, the Trademarks Act is to some extent supplemented by the Marketing Practices Act,4 which is a statutory law of unfair competition. Protected registered trademarks can be searched on https://euipo.europa.eu/eSearch/#advanced (EU trademarks) and www.dkpto.dk (Danish trademarks). These websites can also be used for searching EU- and Danish-registered design rights. Unregistered Danish trademarks would have to be found through general knowledge of the market and internet searches. Copyrighted works, image rights and business processes are not registered, and a search for these would therefore have to be conducted using the internet and through general knowledge of the market. The process for ascertaining whether there is a conflict follows the normal process of determining whether there is an intellectual property infringement. EU trademark registration with the European Union Intellectual Property Office. The Danish relative and absolute grounds for refusal are similar to those for EU trademarks. The DKPTO will provide a search report of its findings. An application for trademark registration will not be refused based on relative grounds for refusal. The Trademarks Act contains a rule about 'trademark theft'. It follows from this provision that registration cannot be obtained for trademarks that are identical or very similar to trademarks that are being used in a foreign country for the same goods or services, if the applicant knew or should have known of this older, foreign mark. Design rights may also be registered via DKPTO. To be registered a design has to be new and have individual character. A trademark proprietor is entitled to start proceedings based on its trademark rights. A franchisee can be a licensee, and a licensee is also entitled to start proceedings in relation to infringements of the trademark right, unless otherwise agreed upon between the licensee and the trademark proprietor. This will, however, change once the new Trademark Directive comes into force, no later than 2019. The licensee shall duly notify the trademark proprietor of such proceedings. surrender of the profit enjoyed as a result of the infringement. The remedies apply regardless of whether the trademark right has been granted by registration or has been obtained by use. The General Data Protection Regulation (GDPR)6 and the Act on Protection of Personal Data (the Danish Act)7 apply to the processing of personal data, with the Danish Act providing the supplements and the derogations of the GDPR. The GDPR and the Danish Act entered into force on 25 May 2018 and replaced the former Danish Data Protection Act8 and the underlying Directive.9 The GDPR and the Danish Act provide a framework within which the processing of personal data may take place; for example, the principles relating to the processing of personal data, and the legal basis for the processing. By way of example, certain requirements must be met when a data controller (e.g., a franchisee) transfers personal data on customers or employees to a franchisor outside the EU or EEA. Hence, such transfers must be subject to appropriate safeguards as set out in the GDPR. In many respects, the new legislation that entered into force on 25 May 2018 carried on the former requirements for the processing of personal data. However, and by way of example, a principle of accountability was introduced, according to which the aforementioned franchisee must be responsible for, and be able to demonstrate, compliance with the principles applicable to the processing of personal data – an obligation that goes hand in hand with the franchisee's obligation, under certain requirements, to maintain a record of the processing activities that fall within its responsibilities. The GDPR introduces a basis for significant fines, which has raised awareness concerning the processing of personal data and the attendant obligations to be met in this respect. So far, special rules regarding cybercrime and notification of government authorities in relation to data breaches have only been adopted for the telecommunications sector. Finally and more generally, a trader, whether a franchisor or a franchisee or other, must comply with the Marketing Practices Act when performing marketing directed towards the Danish market. The Act requires adherence to the principles of good marketing practices, no use of misleading or undue indications or omission of material information if this is designed to significantly distort consumers' or other traders' economic market behaviour. The Act also applies to advertisements on social media such as the internet if directed towards the Danish market. Furthermore, with respect to advertisements on social media, a main principle of the E-Commerce Act stipulates that traders within the EU or EEA offering information society services – meaning commercial services delivered online – are subject to domestic control, thus a trader in a country within the EU or EEA has to comply with the requirements regarding digital marketing in said country, even though the marketing is targeted at other countries within the EU or EEA. There is no legislation that makes express provisions for franchising in Denmark. This means that every aspect of franchising is regulated by the general rules of law. The Contracts Act12 and general principles of contract law apply to franchise agreements. The overall principle in Danish contract law is the principle of freedom of contract (i.e., the parties are free to decide the contents of their agreement). However, the drafting (or carrying out) of a franchise agreement may be regulated by various mandatory rules. In particular, certain statutory rules such as the Competition Act,13 the Marketing Practices Act, the Business Lease Act,14 the Product Liability Act15 and the Act on Interest on Overdue Payments16 may restrict the parties' room for manoeuvre. Danish courts are reluctant to apply Section 36 on commercial agreements, but it may be applied where there is an evident discrepancy between the parties' bargaining positions. Where the franchise agreement is silent, the parties' relationship may be regulated by general principles applicable to commercial relationships. Such principles may be found in the Sale of Goods Act17 as well as in the Commission Act18 and the Commercial Agents Act.19 However, the principle regarding payment of compensation for goodwill at termination in the Commercial Agents Act will only apply by analogy in very exceptional cases (see also Section VI.ii). Case law is also a relevant source of law in relation to franchising, especially where an earlier decision has been made in the superior courts. Possible precedents may be found primarily in various law reports. However, not many precedents relating to franchising have been published. This may be because many franchise agreements refer disputes to be settled by arbitration and not by the ordinary courts. There are no specific pre-contractual disclosure requirements in Danish law. Consequently, there are no legal requirements to disclose certain information relating to the franchise prior to entering into the franchise agreement. However, as a general principle, a duty of disclosure arises when reasonable commercial standards of fair dealing require that particular circumstances should be disclosed when entering into an agreement. A misrepresentation prior to entering into a franchise agreement may therefore give rise to an action for breach of the agreement. In a commercial relationship, the parties are also obliged to give information voluntarily if they know or ought to have known that the information is material to the other party. The basis of liability for contractual damages on account of breach of an agreement is the concept of fault (culpa). In addition, liability requires that the non-breaching party has suffered a loss and that there is an adequate causal connection between the breach and the loss. Damages are computed on an expectation basis (i.e., the non-breaching party shall be put in the same position as if the agreement had been performed). Danish courts are reluctant to award damages for pre-contractual behaviour when no agreement has been entered into. However, the doctrine of culpa in contrahendo is recognised as a general principle but only as an exception. As a starting point, pre-contractual liability requires a clear breach of the law in the form of an unfair behaviour or a clear breach of the rules applicable to the contractual process. Furthermore, the general conditions of liability in terms of loss and adequate causal connection must be fulfilled to impose a pre-contractual liability. Since no agreement has been entered into, damages will be computed based on reliance damages. There are no registration requirements for franchising in Denmark. There are no mandatory clauses in franchise agreements according to Danish law. There is no legislation relating to guarantees made by a franchisee under a franchise agreement, regardless of whether it is provided by a person or a company. A guarantee promise is subject to the rules in the Contracts Act. A guarantee promise is thus binding on the promisor when it has been communicated to the promisee, and it does not require any acceptance from the promisee to be binding. The guarantee commitment as such is subject to the general rule of contractual freedom. Where the guarantee is silent, the reality of the guarantor's obligation must be determined by reference to case law and legal tradition. Whether the guarantee is enforceable must be evaluated under the general rules on invalid declarations of intent in the Contracts Act. In particular, the general clause in Section 36 may be of relevance (see Section IV.i). There is no Danish tax code applicable specifically to franchising structures. Hence, the taxation of a franchise in Denmark depends on whether the franchise is subject to personal or corporation tax. Furthermore, the Danish tax system distinguishes between tax payers domiciled in Denmark and abroad. Individuals and companies domiciled outside Denmark can be subject to a limited tax liability to Denmark regarding a number of specified income types. Foreign persons and companies are, however, obviously often subject to tax liability in another jurisdiction as well. To avoid double taxation for limited liable taxpayers, Denmark has entered into a large number of double-taxation treaties. Further, Denmark has implemented various EU directives seeking to eliminate double taxation. A company is domiciled and subject to full tax liability in Denmark if the company is registered with the Danish Business Authority or if the management of the company has its principle place of business in Denmark. Companies are subject to 22 per cent tax (2018) on income, capital gains, interests, etc. Companies can deduct from taxable income expenses incurred when obtaining, ensuring or maintaining the taxable income, though with certain limitations. Additionally, companies can obtain a deduction from amortisation of assets. Finally – with some limitations – losses realised on tax relevant assets, such as debt and real estate, are deductible. For non-domiciled companies withholding taxes on income from Denmark is particularly relevant. Most importantly Danish withholding taxes may apply to royalties, dividends and interests. Royalties received from a Danish source are subject to limited tax liability. Thus, Denmark will withhold tax on royalty (e.g., from a Danish franchisee to a foreign franchisor). The withholding tax rate on royalties is 22 per cent (2018). Non-domiciled companies are subject to limited tax liability on dividends at a 22 per cent tax rate (2018). The tax rate for non-domiciled companies was reduced from 27 per cent to 22 per cent on 1 July 2016, but the withholding rate for the Danish dividend-paying company remains at 27 per cent (equivalent to the rate applicable for domiciled companies). Subsequently, the foreign receiving entity can reclaim the excess withholding tax. Dividends received by non-domiciled companies from Danish subsidiaries are tax exempt if the receiving company would not be taxable pursuant to the EU Parent–Subsidiary Directive21 or the tax should have been exempt pursuant to a double-taxation treaty. Similarly, dividends received by non-domiciled companies from related Danish companies are exempt if the recipient is domiciled within the EU or EEA and would be tax exempt pursuant to the EU Parent–Subsidiary Directive or the tax should have been (fully or partially) exempt pursuant to a double-taxation treaty. If the dividends are not exempt from withholding taxes, but the receiving entity is resident in a state with which Denmark has concluded a double-taxation treaty that calls for a lower rate of withholding taxes, tax at the rate of 27 per cent (2018) must generally be withheld, and the receiving entity may subsequently reclaim the excess withholding tax. An individual is subject to personal tax on employment income. Furthermore, income derived from self-employment is subject to personal tax. An individual is fully liable to tax in Denmark, if the individual is domiciled in Denmark or has been present in Denmark for a continuous period of at least six months (including short stays abroad in the form of vacations). An individual is subject to tax on salary, profits from self-employment, capital gains, interests, dividends, pensions, etc. For employed individuals the expenses qualifying for a deduction are very limited; hence, for example, certain work-related transport and interest expenses on debt are deductible. A personal business tax regime is applicable to self-employed individuals to allow for a harmonised taxation of personal businesses and companies. The tax rate applicable to self-employment income under this regime is 22 per cent (2018). Operating costs, such as salary, rent, travel expenses, insurance, training, etc., are deductible from self-employment income (such deductions may also be obtained outside the tax regime for self-employed individuals). When self-employment income is extracted from the franchise business by the franchisee for personal use it will be subject to ordinary salary tax with a progressive net tax rate of up to 56.5 per cent, including labour market contribution and optional church tax (2018). The tax already paid on the self-employment income will be credited in the personal tax for the individual. The structuring of a franchise business in Denmark is generally not driven by tax considerations. Hence, there is no general best practice used specifically for franchising. Instead the structuring – from a tax point of view – is typically dependent on the specific business drivers for the franchisee, such as the nature of the business, the place of residence, whether the franchise is conducted as an individual concern or partnership or in a corporate form. Danish contract law recognises the principle of good faith. This means that the parties to an agreement are obliged to care for each other's interests and to give each other information that is necessary to mitigate losses, as well as to avoid acting contrary to previous behaviour and to avoid an abuse of rights. The principle of good faith has not been expressed in any statutory provision, but its existence is presupposed in some statutes, for example in Section 36 of the Contracts Act (see Section IV.i). Unfair actions and omissions as well as actions and omissions carried out in bad faith by a contracting party may give rise to an action for breach of the agreement (see Section IV.ii). According to Danish law, franchisees are normally treated as independent distributors purchasing and selling goods in their own name and for their own account, and the franchisors are thus acting as suppliers. There are no specific Danish rules on either distribution or franchise agreements. It is possible to include in the franchise agreement provisions providing for the franchisee to act as a commission agent. It would also be possible to include provisions providing for the franchisee to act as a commercial agent. This would not modify the nature of the franchise agreement as such, but it would constitute an 'agreement within the agreement', which would be governed by the Commission Act or the Commercial Agents Act, as the case may be. It should be emphasised that the Commercial Agents Act is based on an EU Directive that embodies a number of mandatory provisions serving to safeguard the interests of the agent by ensuring certain minimum rights. In particular, the provisions in the Commercial Agents Act relating to goodwill at termination and minimum notice of termination may not be deviated from to the detriment of the agent through an agreement stipulating that foreign law shall apply, if the legal relationship would otherwise be governed by the Act. Therefore, if the franchisee acting as an agent has its place of business in Denmark, these provisions will apply regardless of any choice of law clause contained in the franchise agreement (see Section VI.ix). According to published Danish case law, a distributor is only entitled to compensation at termination under very special circumstances. This could be the case if the distributor or dealer, despite fixing its own resale prices and otherwise being responsible for the commercial risks, has not been duly compensated for its investments, etc. at termination; for example, if the duration of the agreement was very short, and if the distributor or dealer also actively transfers the customer records, etc. to the supplier at termination, provided that the identity of the customers is not generally known. In a case before the Danish Supreme Court on 25 April 2000, a terminated dealer was, under very special circumstances, awarded compensation in the amount of 200,000 Danish kroner. In the ruling the Supreme Court clearly stated that under normal circumstances an independent distributor or dealer will not be entitled to any compensation upon termination of the distributorship or dealership. However, in this specific case the Supreme Court awarded the terminated dealer the compensation mentioned with reference to the fact that the termination of the dealership had taken place with no reasonable explanation and without taking the dealer's interests into consideration (very disloyal behaviour towards the terminated dealer), and with reference to the fact that the terminating supplier in question had taken over the customer base built up by the dealer, thereby preventing the dealer from being duly compensated for its investments in marketing, etc. According to Danish law, a franchisee is generally considered as a separate and independent business partner to the franchisor. However, depending on the intensity of the parties' cooperation and provided that the franchisee is a natural person, the franchise relationship may be qualified as a camouflaged employment relationship governed by general principles of employment law, whereby the franchisee is considered similar to an employee, as the weaker party in need of protection. There is also a risk that mandatory rules such as the Salaried Employees Act22 will apply, as well as statutory tax law relating to employment relationships. 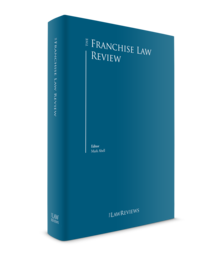 Whether the franchise relationship is to be considered as a camouflaged employment relationship depends on an overall assessment of the circumstances of the case, including the wording of the franchise agreement and the parties' execution thereof. Among the factors to be considered is the extent to which the franchisee may manage its own hours, the extent to which the franchisee is taking on a financial risk by paying for the business premises and any employees, whether the remuneration to the franchisee is determined by the franchisee's performance or the time spent, etc. When entering into a franchise agreement, the franchisee is considered to act in the course of business, and the franchisee will therefore not be treated as a consumer in accordance with any of the Danish laws concerning consumer protection. However, the parties' position of strength may be of relevance in relation to Section 36 in the Contracts Act (see Section IV.i). The Danish competition rules, which are found in the Competition Act and executive orders issued on the basis of the Act, are in all relevant aspects identical to the EU competition rules. In particular, the European Commission's Block Exemption Regulation for vertical agreements23 has been incorporated into Danish law. This means that issues of exclusivity, pricing, product ties, e-commerce and full-line forcing are treated in the same way under Danish law as under EU competition law. The Danish competition rules are in all relevant aspects identical to the EU competition rules, and non-compete obligations are therefore treated in the same way under Danish law as under EU competition law. Accordingly, a non-compete obligation relating to the products or services purchased by a franchisee is permitted for the duration of the franchise agreement, provided that the obligation is necessary to maintain the common identity and reputation of the franchised network. Danish law does not require a minimum period of notice for the parties to terminate a franchise agreement made for an indefinite term and the parties are free to agree the period of notice. If a short period of notice has been agreed, the courts may in rare circumstances establish a reasonable period of notice by applying Section 36 in the Contracts Act (see Section IV.i). If no period of notice has been agreed, a franchise agreement made for an indefinite term may be terminated with a reasonable period of notice taking all circumstances into consideration, including the duration of the franchise relationship. A period of notice of six months is normally considered reasonable, including in situations in which the parties' relationship has lasted for several years (also, according to case law, if it has lasted over 20 years). It is the starting point under Danish law that a franchisee is not entitled to compensation for goodwill at termination following an adequate term of notice. However, Danish courts have in some cases allowed a distributor such compensation but only in cases offering very special circumstances (see Section VI.ii). The Danish competition rules are in all relevant aspects identical to the EU competition rules, and post-term non-compete obligations are therefore treated in the same way under Danish law as under EU competition law. Accordingly, post-contractual non-compete obligations in franchise agreements related to products or services that compete with the products and services covered by the franchise agreement are permissible for a maximum period of one year after termination of the agreement, provided that the non-compete obligation is indispensable to protect know-how transferred by the franchisor to the franchisee and is limited to the point of sale from which the franchisee has operated during the contract period. The right for the franchisor to take over the franchisee's business upon termination should be regulated in the franchise agreement. If nothing has been agreed, Danish law predicts that neither party has a right or a duty to take over the other party's rights and obligations under the agreement. The Criminal Code24 deals with different types of fraudulent behaviour and actions, including embezzlement, deceit, fraud against creditors, breach of fiduciary duties, breach of trust, including providing the authorities with false or misleading information concerning a company's accounts. There is no strict liability under the Criminal Code. As a general rule, criminal liability requires the intention to commit a criminal fraudulent act for the purpose of gain that causes a corresponding loss to the victim. Furthermore, negligent and fraudulent accounting under the Bookkeeping Act25 and the Annual Report Act26 are punishable by a fine with no statutory limit. Wrongful bookkeeping made with fraudulent intent may also be covered by the provisions on fraud in the Criminal Code. The Criminal Code distinguishes between and prohibits public active bribery, public passive bribery and private bribery (both active and passive). Public active bribery means any person who unduly gives, promises or offers to someone performing a public function or office with a Danish, foreign or international public organisation a gift or another benefit to make the relevant person perform or fail to perform that function or office. Public passive bribery means any person who unduly receives, demands or agrees to receive a gift or another benefit in the exercise of a Danish, foreign or international public function or office. Facilitation payments are generally considered bribes falling within the scope of public active bribery and public passive bribery. Private bribery means any person who receives, demands or agrees to receive another benefit for himself, herself or others in a manner contrary to his or her duty of managing the property entrusted to him or her by another person, and any person who grants, promises or offers such a gift or other benefit, including in the form of kickbacks. Violations of the Criminal Code's provisions on bribery may be sanctioned with criminal fines, imprisonment (only individuals) and forfeiture. Further, violations may be sanctioned with exclusion from public procurement contracts. Directors and employees of a company may under certain circumstances be found personally liable for acts on behalf of a company. The Act on Anti-Money Laundering27 is based on the Fourth EU Anti-Money Laundering Directive,28 which was transposed into Danish law on 26 June 2017. The Act on Anti-Money Laundering is to a great extent aligned with the Fourth EU Anti-Money Laundering Directive, although there are a few deviations from the Directive. attempting or participating in actions of this nature. A franchisor acting and contracting in its own name is responsible for complying with the Act on Anti-Money Laundering (assuming it carries out activities subjecting it to the Act). However, a company may under certain circumstances be found liable for acts committed by a third party, if that third party is in some way connected to or is representing the company. Consequently, although this risk is unlikely to materialise, a franchisor may be found liable for money laundering committed by a franchisee or the employees of the franchisee or for lack of compliance with the Act on Anti-Money Laundering by the franchisee. For this reason it is recommended that the franchisee agrees to comply with the franchisor's internal guidelines, code of conduct, etc., subject to such adjustments as may be necessary to ensure compliance with the Act on Anti-Money Laundering; such proper adequate procedures can be used as a defence for the franchisor against liability for acts committed by the franchisee or the employees of the franchisee. With regard to issues relating to jurisdiction, the 1968 Brussels Convention,29 the 2007 Lugano Convention30 and EU Regulation 1215/201231 apply in Denmark. This means that when entering into an agreement the parties are free to agree on the choice of forum. Many franchise agreements refer disputes to be settled by arbitration and not by the ordinary courts. It is also possible to agree on mediation as a form of dispute resolution. With regard to jurisdiction outside the ambit of these rules, international jurisdiction of Danish courts is based on a number of provisions in the Administration of Justice Act32 and the starting point is that the defendant must have home court in Denmark. Regarding choice of law, the 1980 Rome Convention33 applies in Denmark (not the Rome I Regulation34 because of Denmark's opt-out from the EU cooperation as regards justice and home affairs). Consequently, the parties are free to agree on the law that shall govern their agreement. To the extent that no valid choice of law has been made by the parties, the starting point is that the agreement shall be governed by the law of the country with which it is 'most closely connected'. According to the basic presumption, the closest connection is to be found in the country where the party who is to effect the performance that is 'characteristic of the agreement' has his or her habitual residence or, in the case of a company, its central administration. It is generally considered in relation to franchise agreements that the franchisor is to effect the performance that is characteristic of the agreement, consisting of the franchise concept, the right to use the franchisor's business names, trademarks and know-how and in some cases also patent rights, which shall be provided to the franchisee against payment of remuneration. Nevertheless, there are many indications that the franchise agreement shall be considered to have its closest connection to the country in which the franchisee is to make use of these rights. There is, however, no relevant Danish case law dealing with these issues. It is possible to obtain a court injunction, including a preliminary injunction, ordering a former franchisee to refrain from trading in breach of a non-compete provision, or from using the franchisor's trademarks or other intellectual property rights (see also Section III.iii). As a starting point, damages for breach of contract (and misrepresentation) are calculated on an expectation basis (i.e., the non-breaching party shall be put in the same position as if the agreement had been performed). The party 'losing' the case will normally be ordered to effect reimbursement to the other party of the costs incurred by the latter in connection with the case (court fees, legal fees, etc.). In principle, the fees of legal professionals are not regulated. However, the Supreme Court has laid down publicly accessible guidance rates for some fees, which are usually followed by the court. The amount to be reimbursed by the losing party according to these guidance rates will normally not cover the actual legal fees for conducting the case. Foreign judgments against Danish citizens may be enforced in accordance with the rules in the 1968 Brussels Convention and the 2007 Lugano Convention, as well as EU Regulation 1215/2012. If neither of these rules is applicable, the starting point is that foreign judgments are not recognised and that they cannot be enforced in Denmark. With respect to arbitration awards, Denmark has acceded to the 1958 New York Convention35 and, according to the Arbitration Act,36 Danish courts recognise foreign arbitral awards, irrespective of the country in which they were made. Recognition and enforcement may, however, be rejected on grounds of public policy. 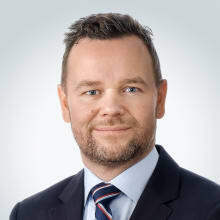 1 Jacob Ørskov Rasmussen is a partner at Plesner Law Firm. 2 Consolidated Act No. 223/2017 on Trademarks. 3 Directive 2015/2436/EU of the European Parliament and of the Council of 16 December 2015 to approximate the laws of the Member States relating to trade marks. 4 Consolidated Act No. 426/2017 on Marketing Practices. 5 Directive 2014/67/EU of the European Parliament and of the Council of 15 May 2014 on the enforcement of Directive 96/71/EC concerning the posting of workers in the framework of the provision of services and amending Regulation (EU) No. 1024/2012 on administrative cooperation through the Internal Market Information System. 6 Regulation 2016/679 of 27 April 2016 on the protection of natural persons with regard to the processing of personal data and on the free movement of such data, and repealing Directive 95/46/EC (General Data Protection Regulation). 7 Consolidated Act No. 502/2018 on the Protection of Personal Data. 8 Consolidated Act No. 429/2000 on the Processing of Personal Data. 9 Directive 95/46/EC of the European Parliament and of the Council of 24 October 1995 on the protection of individuals with regard to the processing of personal data and on the free movement of such data. 10 Consolidated Act No. 227/2002 on Services in the Information Society, etc. 11 Consolidated Act No. 1457/2013 on Certain Consumer Contracts. 12 Consolidated Act No. 193/2016 on Contracts and other Juristic Acts pertaining to Property. 13 Consolidated Act No. 155/2018 on Competition. 14 Consolidated Act No. 1218/2018 on Lease of Business Premises. 15 Consolidated Act No. 261/2007 on Product Liability. 16 Consolidated Act No. 459/2014 on Interest etc. on Overdue Payments. 17 Consolidated Act No. 140/2014 on Sale of Goods. 18 Consolidated Act No. 332/2014 on Commission. 19 Consolidated Act No. 272/1990 on Commercial Agents and Commercial Travellers. 20 Council Directive 2003/49/EC of 3 June 2003 on a common system of taxation applicable to interest and royalty payments made between associated companies of different Member States. 21 Council Directive 2011/96/EU of 30 November 2011 on the common system of taxation applicable in the case of parent companies and subsidiaries of different Member States. 22 Consolidated Act No. 1002/2017 on the Legal Relationship between Employers and Salaried Employees. 23 Commission Regulation No. 330/2010/EU of 20 April 2010 on the application of Article 101(3) of the Treaty on the Functioning of the European Union to categories of vertical agreements and concerted practices. 24 Consolidated Act No. 1156/2018 on Criminal Law. 25 Consolidated Act No. 648/2006 on Bookkeeping. 26 Consolidated Act No. 1580/2015 on Annual Reports. 27 Consolidated Act No. 651/2017 on Measures to Prevent Money Laundering and Financing of Terrorism. 28 Directive 2015/849/EU of 20 May 2015 on the prevention of the use of the financial system for the purposes of money laundering or terrorist financing, amending Regulation (EU) No. 648/2012 of the European Parliament and of the Council, and repealing Directive 2005/60/EC of the European Parliament and of the Council and Commission Directive 2006/70/EC. 29 The Brussels Convention of 27 September 1968 on jurisdiction and the recognition and enforcement of judgments in civil and commercial matters. 30 The Lugano Convention of 2007 on jurisdiction and the recognition and enforcement of judgments in civil and commercial matters. 31 Regulation No. 1215/2012/EU of the European Parliament and of the Council of 12 December 2012 on jurisdiction and the recognition and enforcement of judgments in civil and commercial matters. 32 Consolidated Act No. 1101/2017 on Administration of Justice. 33 Convention on the Law Applicable To Contractual Obligations opened for signature in Rome on 19 June 1980 (80/934/EEC). 34 Regulation No. 593/2008/EC of the European Parliament and of the Council of 17 June 2008 on the law applicable to contractual obligations (Rome I). 35 The Convention on the Recognition and Enforcement of Foreign Arbitral Awards (New York, 1958). 36 Consolidated Act No. 553/2005 on Arbitration.